It’s the 232nd Merseyside derby between Liverpool and Everton. 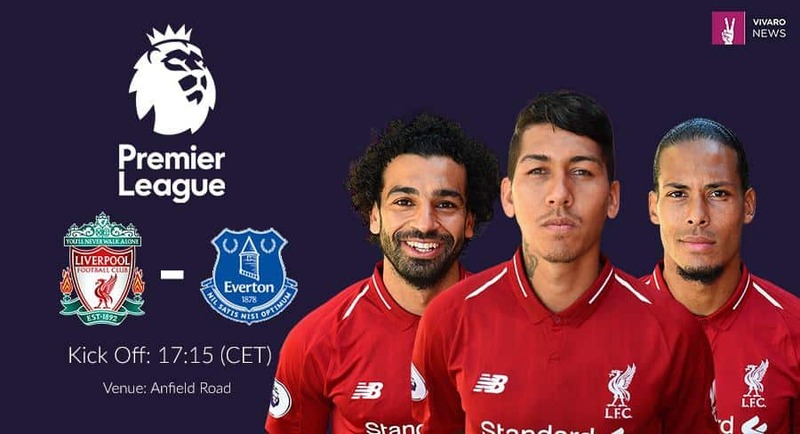 Unbeaten Liverpool are looking for a third successive Premier League victory, while Everton are targeting a third win from four matches. Adam Lallana and Alex Oxlade-Chamberlain remain sidelined for the hosts, while captain Jordan Henderson is suspended after being sent off against Watford last weekend. Klopp may be tempted to freshen things up after an energy-sapping Champions League clash on Wednesday night. Everton have a fully fit squad from which to choose; Richarlison is expected to continue in attack, while Icelandic playmaker Gylfi Sigurdsson will be tasked with pulling the strings for the visitors. Liverpool’s current run of 17 matches without defeat against Everton in all competitions is their longest unbeaten sequence against their rivals. Marco Silva can become the first Everton manager to win his first league match at Anfield, stretching back to the clubs’ first meeting in November 1894. He can also be the first to win his first Premier League Merseyside derby since Joe Royle in November 1994. Jurgen Klopp has been unable to beat Marco Silva in their two previous Premier League meetings. Silva is the only manager the German has faced more than once in the competition without winning. Mohamed Salah could make his 50th Premier League appearance for Liverpool, having scored 39 goals for them. Only two players have scored more in their first 50 Premier League matches. Alan Shearer and Andy Cole both struck 41, for Blackburn Rovers and Newcastle United respectively. Liverpool are priced at odds of winning 1.40 according to VBet, while a draw is available at 4.72. A win for Everton are priced at 8.44. Click here to see all of VBet’s offers for the game, including goalscoring markets, correct score predictions and more.